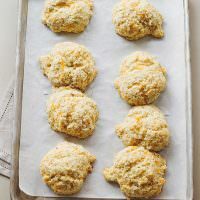 From the cookbook magpie, these Cheddar Herb Biscuits are perfection with a bowl of steamy soup or stew. It was 12° went I left the house this morning for the airport. I’m on my way to Salt Lake City for a photography workshop/reunion and I am so excited about getting out of town for a few days. I get that going from really, really, cold to just really cold isn’t a lot of people’s idea of a good time, but I am thrilled about it. As much as I love living on the Cape, I can start to get a little shack wacky if I don’t get off Cape every now and again. January and February are hard months. Most things are closed and it is very quiet. I discovered last winter that the key to my sanity was a trip in the height of winter. Last year I went to the GoPro Workshop hosted by Wendy and Tyler. I’ve been shooting professionally for almost 10 years now and went as an excuse to just get away, but I learned so much that weekend. It reminded me that no matter where you are, you can always learn new things and gain inspiration and knowledge from other people. (Not to mention I got my taco fix in San Diego. I ate Mexican food almost every meal.) I am so excited about the shoots we have planned and seeing friends that I made last year. I’m also going to see some blogger friends and let me just say, I can’t wait to give them a hug in real life. I made these cheddar herb biscuits from the Mapgpie Cookbook (the pie bakery you need to try if you are ever in Philadelphia. If you are into pies, this is a great book – sweet and savory recipes.) a few weeks ago with Ava. These are easy enough to whip up right before dinner, it uses pantry items and goes perfectly with a steamy bowl of soup or stew. Preheat oven to 425°. Line a baking sheet with parchment paper. Whisk together flour, baking powder, baking soda, sugar, salt, and spices. Add the cheese and coat with flour. Combine the milk and 8 Tablespoons melted butter in a bowl. Add the milk mixture to the flour mixture. Stir until the ingredients are incorporated and the batter pulls away from the sides of the bowl. Use a large spoon or ice cream scoop and portion 8 biscuits onto the prepared baking sheets. Brush the tops with remaining butter. Sprinkle sea salt and cracked pepper on the tops. Bake for about 12 minutes, or until the tops are golden brown. Whisk together flour, baking powder, baking soda, sugar, salt, and spices. Add the cheese and coat with flour. Combine the milk and 8 Tablespoons butter in a bowl. The butter will form clumps. (This is what you want. Promise.) Add the milk mixture to the flour mixture. Stir until the ingredients are incorporated and the batter pulls away from the sides of the bowl. Use a large spoon or ice cream scoop and portion 8 biscuits onto the prepared baking sheets. Brush the tops with remaining butter. Sprinkle withsea salt and crack pepper on the tops. Store in an airtight container for up to 2 days, or freeze. Defrost and reheat in a low oven. These look delicious! I haven’t made these from scratch before, but I know my husband would very much appreciate it if I did! Bree – Happy Travels! Leaving just before the first big snowstorm – good timing! These biscuits might have to be whipped up to accompany the ham & bean soup slated for tonight’s dinner. I love that these biscuits are only 12-minute bake time… I can eat them nearly right after preparation! I made the magpie chedder cheese biscuits one night when I made Chili. My family LOVED them!! Such an easy recipe and so good!!! These are lovely, but not very cheesy-tasting. I used Dubliner which is a strong cheese and tastes as sharp as any I know. I’m British. Would it be OK to reduce the amount of flour and incorporate the equivalent amount of extra Cheddar please? I really don’t know, you can give it a try and see what happens. My Cheddar Herb Biscuits didn’t taste very cheesy, although I used wonderful ‘Dubliner’ cheddar. Would it be possible to increase the amount of cheese and reduce the amount of flour please?